In those years I often accepted requests from various institutions including prestigious universities to give a lecture. Being that the Rebbe was aware of this arrangement, I didn’t inform him of every invitation and request which I received and accepted. 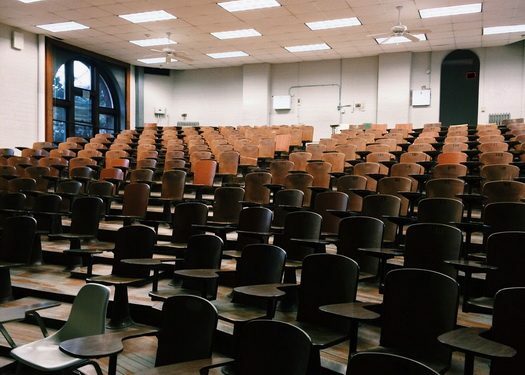 One day I was contacted by the chairman of the department of Jewish Philosophy of NYU – a prestigious university in Manhattan, with the request that I give a lecture. A date and topic was agreed upon and the proper publicity was made. For some reason the chair decided to invite the dean of the university, as well as various religious dignitaries. A few weeks before I was to give that speech, I had a yechidus with the Rebbe. Among the points I mentioned was the speech I was going to be giving. The Rebbe inquired if the scheduled venue had separate sitting or was it mixed seating. I replied, it would be mixed. The Rebbe instructed me not to give the speech. After the yechidus, I called up the chairman and informed him that I am a follower of the Lubavitcher Rebbe and the Rebbe instructed me not to give this lecture, so although I agreed to it, I must back out. Understandably he was quite upset and inquired about the entire conversation. I informed him of the Rebbe’s question about the seating arrangement. However, being that I agreed to speak, I felt bad for his predicament and offered to arrange for him, a yechidus with the Rebbe, where he can ask him. He angrily declared, The Rebbe is a fanatic. He is so old fashion. We have made tremendous progress in equality and decency and I refuse to speak to him or anyone with those outdated beliefs. Women are not second class and don’t have to be segregated. He continued, however, being that I sent out invitations and the dean of the university and other dignitaries, are planning on attending. So can you please write your speech down and I will say you couldn’t attend, but you sent in your address. I agreed to this request and wrote it up, and after receiving it, he called me to say, he was extremely pleased with it. He then requested that I reconsider my decision, as he believes that it would have an everlasting impact on the attendees if I deliver it in person, which in turn would influence them to help in various Jewish causes. I thanked him for his kind words, but I pointed out that as a chossid I cannot go against the instructions of the Rebbe. I concluded, but if you want, you can plead your case to him. To my surprise this time he said he agreed and a time was arranged. 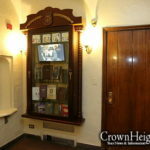 We waited in the office of the mazkirus and at the arranged time, we stood outside the Rebbe’s room. 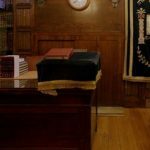 When he entered and saw the Rebbe he froze, and I had to literally help him walk to the chair in front of the Rebbe’s desk and help him sit down. After asking the Rebbe to allow me to give the lecture and explaining the tremendous benefit it would create, as many distinguished and influential people will be attending, the Rebbe inquired, “In what topic did you request Rabbi Mangel to talk about? He replied, on Jewish philosophy. The Rebbe replied, for your participants, it would be much more appropriate to talk about the seven Noachide laws. The Rebbe gently replied, in society nowadays they eat lobster and crab. Do you have any inclination on how they are prepared? They take a live fish and throw it into a boiling pot of water and cook it alive. That is an extremely achzurious (barbaric) act! And that is called progress?! The chairman was visibly shaken by this reply, he had no answer and respectfully left the Rebbe’s room. I have met with numerous presidents and prime ministers. I met leaders of various religious persuasions, but I never felt incapacitated by fear as I did when I gazed upon him as I entered his room. Now, the Rabbi is a religious Jew, so I can correctly assume he doesn’t eat those fish. However, I am not observant and yes I eat and enjoy them. I never thought about the way they are cooked, and now I see he is correct, that is truly barbaric – that indeed demonstrates that we fall short in the progress we pride ourselves in. I have to take back my argument about him being a fanatic and old fashion and we are making progress. Rabbi Mangel then added the following thought. Evidently the Rebbe wanted to help this Jew do teshuva, and hear and see the Torah from a different vantage point. That is why he instructed me not to give that lecture, in order that the chairman comes for a yechidus and hears this. As shortly afterwards the Rebbe told me I should be successful in my lectures at Universities. The reason I am posting this story is; let us realize that infanticide is not progress and cultured, it is barbaric. The path and ways of the Torah are sweet and uplifting, while the other path leads to the opposite extreme, harmful for all humanity. We should also include the experience of lobsters amd other shellfish in questioning PETA’s supposed concerns about animal rights. And how the killing and cooking of shellfish must desensitize those who prepare the food. 1. Lobsters do not feel pain. There is no צער in cooking them alive. 2. It is not explicitly written that צער בעלי חיים applies to bnei noach. The only obvious way it could apply is as a תולדה of אבר מן החי. But if so, that issur only applies to mammals and birds; it does not apply to fish, insects, or crustaceans. So how can its presumed תולדה apply to those? Maybe the Rebbe just wanted to shock the man into realizing that we are not so advanced as he thought we were. For instance, if someone is unaware that lobsters feel no pain, and he cooks them alive because he simply doesn’t care about their suffering, then although he is not transgressing the issur of צער בעלי חיים, he is displaying a midda of cruelty, and the purpose of the issur is to eliminate that midda from us. He may not be a sinner, but he is not an advanced enlightened person who can think that he is beyond such commandments. That is a false assertion! Although the studies have proven that lobster “may” feel pain (see as one of several examples, studies quoted in https://www.usnews.com/news/articles/2013/01/16/cruelty-to-crustaceans-crabs-lobsters-may-feel-pain), the accepted notion is that they actually Do indeed feel pain. I will deal with the other points at a later time. My intention is to show how indeed the Rebbe was ADVANCED in his knowledge, making claims decades ago that only recently been recognized by the World. Another false assertion: Tzar baalei chaim does not apply to fish, insects, or crustaceans. This is simply untrue! The issur applies either m’ikar hadin or as a midas chassidus as explained by gedolei haposkim. Although Yaavatz (She’elas Yaavatz Vol. 1, no. 110), who writes that tzaar baalei chayim only applies to animals that are able to work in the service of human beings or are domesticated. (He mentions cats.) With regard to fleas, mosquitoes, and other flies, and rodents that are unable to labor for humans, the prohibition does not apply and it is therefore permitted to kill them. However, the Kitzur Shulchan Aruch (191:1) disputes this, and posits that the prohibition applies universally. Indeed, Iggros Moshe (Choshen Mishpat Vol. 2, no. 47), rules that it is better to kill insects and rodents by indirect means (setting a trap, rather than killing by hand). The reason for this is so that a person should not become accustomed to acts of cruelty, which are liable to influence his inner nature. Therefore, either as a middas chassidus or mi’ikar hadin, tzar baalei chaim APPLIES to insects and certainly to more complex life forms like rodents, fish, or crustaceans. Again, I write this because the Rebbe was proficient in Torah, science and all wisdom. We don’t need to second guess him. This proposes that the Rebbe, as an emissary of Toras Emes, told this man something that was patently false simply to “shock ” him. There is a klal (rule) that people do not mislead on a “milsa d’avidi l’gluyay” (something that will readily be discovered). This applies to even stam people who wish to uphold their own self-respect, certainly, a talmid chochom that speaks words of Torah and is concerned of creating a chilul Hashem would no knowingly make misleading/false statements that will be revealed as untruths. I am shocked that a frum yid would say this about any godol, more so, a so-called chosid should say this about their own Rebbe. Does one think that the Rebe would have no other means of shocking this person other than by making a false statement?! I am well aware of rare Talmudic debates that a Torah Sage answered a query just to satisfy the questioner, even though the response was not fully accurate (as the students pointed out) – but that does not apply here… as is obvious. I write this because of my great respect for the Rebbe, and therefore take great offense by someone proposing foolishness in explanations about him. That too is a false assertion! Although some poskim say that tzar baalei chaim is not included among the 7-mitzovos of bnei noach: see Aishel Avraham (Mebutchach Orach Chaim 305 on the Magen Avraham 13) and the Pri Megadim (Mishbitzos Zahav Orach Chaim 468:2) say that the Bnei Noach are not obligated in tza’ar ba’alei chaim. However, this is NOT universally accepted! This, according to Rambam is the Torah source that one is not allowed to cause pain to an animal – known as tza’ar ba’alei chaim – and the issur is discussed specifically and explicitly by a ben Noach! Like the Rambam, the sefer Chassidim (666) says that the source for tza’ar ba’alei chaim is derived from Bilam and explains why the Bnei Noach are obligated in this mitzvah. It says that until the time of Noach people were not allowed to kill animals – even for the purpose of eating them. After the Mabul, Hashem allowed Noach and all future generations to kill animals for the sake of eating or benefiting from them. This permission was only granted for the purpose of eating and other benefits. Hurting an animal for no purpose would violate the original prohibition that was given to Adam HaRishon not to kill animals. Another explanation can be offered based on Rabbeinu Nissim Gaon’s introduction to Gemara. He says there that everyone is obligated to keep any common-sense mitzvah. From the day that Hashem created the world and placed man in the world, it is incumbent upon man to follow common sense. Murdering innocent people and stealing are examples of things that everyone can understand not to do; thus they are obligated not to commit these wrongful acts. The Rokeach (366) says something similar, namely that everyone, including the Bnei Noach, are obligated to follow common-sense laws such as giving charity, respecting elders, and ensuring that one’s property is safe. Tzar balei chaim is included in common sense prohibitions. Another source of the issur of tzar baale chaim by bnei noach is that when Yaakov came to Shchem, he built sukkos for his cattle and the place was called Sukkos. Meforshim on chumash explain that Yaakov taught the bnei noach about tzar baalei chaim, that they are required to protect their animals from suffering in the heat and cold. I write this because it disturbs me that one “attacks” a story about the Rebbe with false claims and assertions! Can we assume that this “Annon” comment is also from HaGaon HaRav K from BMG? Waiting to see reply from Milhouse (he is NEVER modeh when he is wrong and shlogged). It is amazing how Rabbi K used to make fun of chassidic stories and customs, but now he comes out strongly defending the kovod of Rebbe (even though Rebbe needs no defenders) – it is so nice to see! Lo yidach mimenu nidach – everyone will come back from being a nidoch and a nifrad. You are right. It is also a kitrug on us chassidim. No one of us stood up to answer except a fremdeh non-chosid! It is a shanda on each of us when strangers care more about Rebbe’s honor then aigeneh.